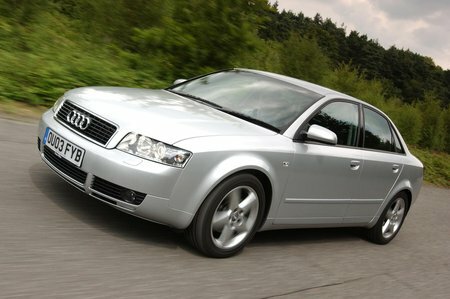 The Audi A4 saloon is one of those cars that's more rewarding to own than to drive. Don't get us wrong – it drives pretty well; it's just that it's even better to own. For a start, the interior is crisp, contemporary and oozes quality. The materials are high class and there's all the kit you need, including plenty of safety equipment. It's roomy, too, but the transmission tunnel robs the middle rear passenger of some comfort, so think of it as a spacious four-seater. The boot is a decent size - the same as that of a BMW 3 Series and fractionally bigger than a Mercedes C-Class's. You'll find most versions are refined long-distance haulers and cushion you adequately from bumps and potholes, although not quite as well as the C-Class. Both front-wheel-drive and quattro four-wheel-drive versions are grippy and turn in smartly to corners, but the steering could do with more feel.